Michael Turner is the Executive Vice President and Global Head of Real Estate of OMERS, and President of Oxford Properties Group. In his role, he is responsible for overseeing the global real estate business, consisting of approximately $47 billion of assets under management and 2,200 employees in Canada, Europe, USA and Asia. Prior to this role, Mr. Turner was Executive Vice President & Head of Canada. In this role Mr. Turner was responsible for all aspects of Oxford’s Canadian investment, development and management operations across five asset classes and 50 million square feet, and is a member of the company’s Investment Committee and Executive Committee. Mr. Turner joined Oxford in 2010 as Senior Vice President, Investments, and assumed additional responsibilities in 2013 as Senior Vice President, Real Estate Management, leading the 36 million square foot, 1,200-person office and retail real estate management businesses, with overall responsibilities for asset management, leasing and property management. 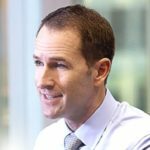 Prior to joining Oxford, Mr. Turner spent 13 years at a global real estate services firm, most recently in the role of Executive Vice President, Investment Sales where he led significant transactions involving all asset classes for many of North America’s largest commercial real estate owners. Mr. Turner holds a Bachelor of Arts from the University of British Columbia, a Masters of Planning from Queen’s University, a Masters of Finance from the University of Toronto and is a CFA charter holder. He was formerly Past-President, Greater Toronto NAIOP and is involved in several other charitable and community organizations.